Each year the exhibitors choose the mower they would most like to take home and the owner of the winning machine receives the Andrew Grout Plate. 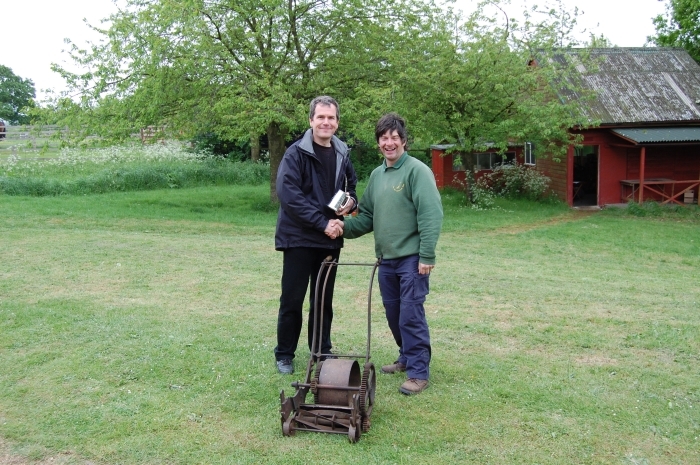 This year the winner was Keith Wootton (left) who is seen here receiving the prize from Andrew Grout. The mower is an early Budding "Improved".